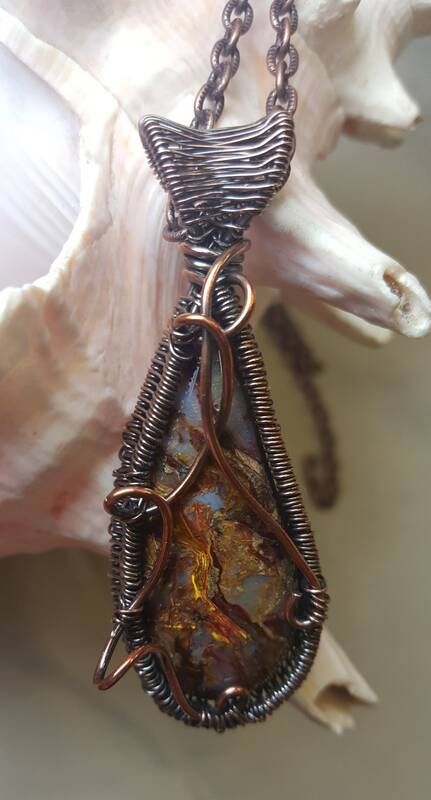 Golden, Nambian Petrosite, Oxidized Pendant on a matching chain with a lobster claw closure. 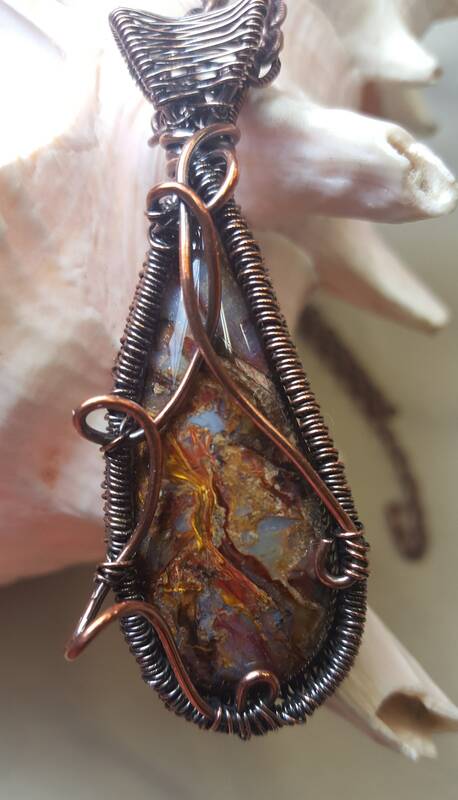 This pendant is wrapped in copper and has flashes of golds and browns, very striking. 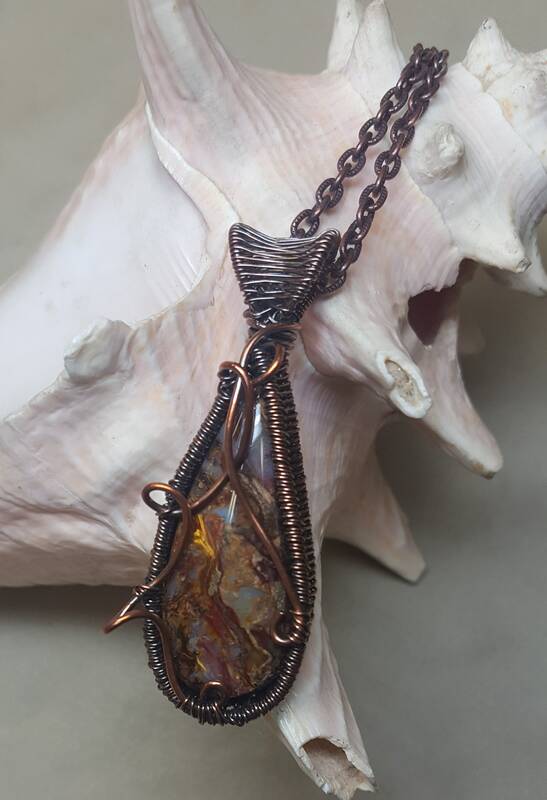 This item is Handmade, Certified Made in Alaska and is gift boxed. 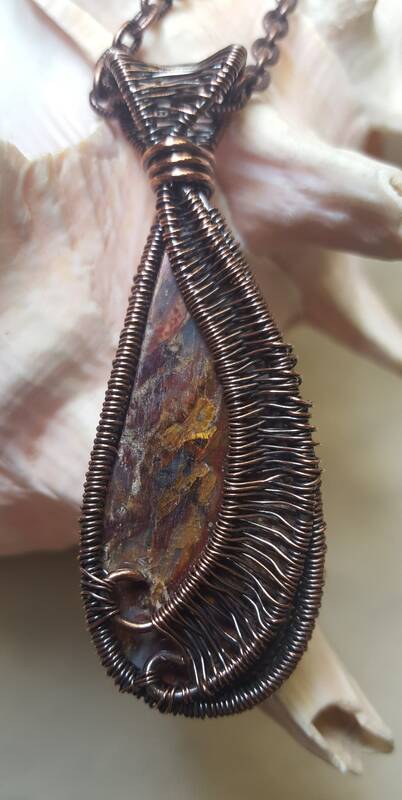 FREE SHIPPING IN THE USA, International customers are responsible for any additional Customs Fees.